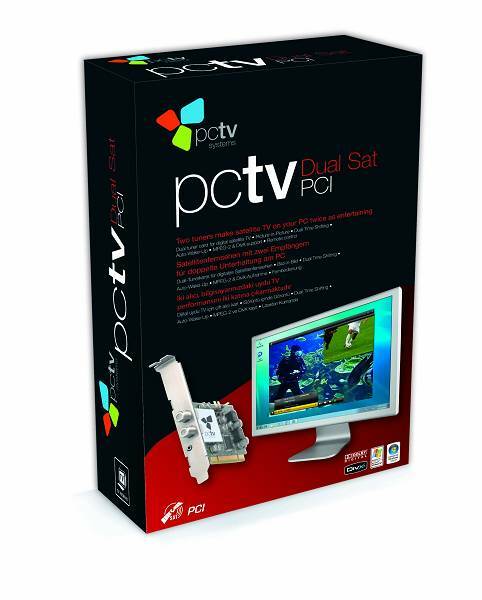 PCTV Dual Sat PCI turns your PC into a high-end PVR with two digital satellite tuners and remote control. 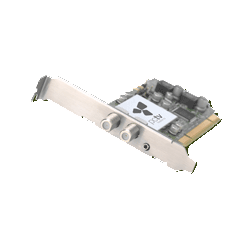 This unique DVB-S board lets you watch, record and timeshift two free-to-air satellite programmes at the same time. The integrated AutoPowerON/OFF technology automatically starts the PC and shuts it down for scheduled recordings. The brand new TVCenter 6 software offers a wide range of PVR features, accessible with remote control or keyboard and mouse. Recorded TV shows can be converted into PlayStation™ Portable (PSP) or iPod™ compatible format. 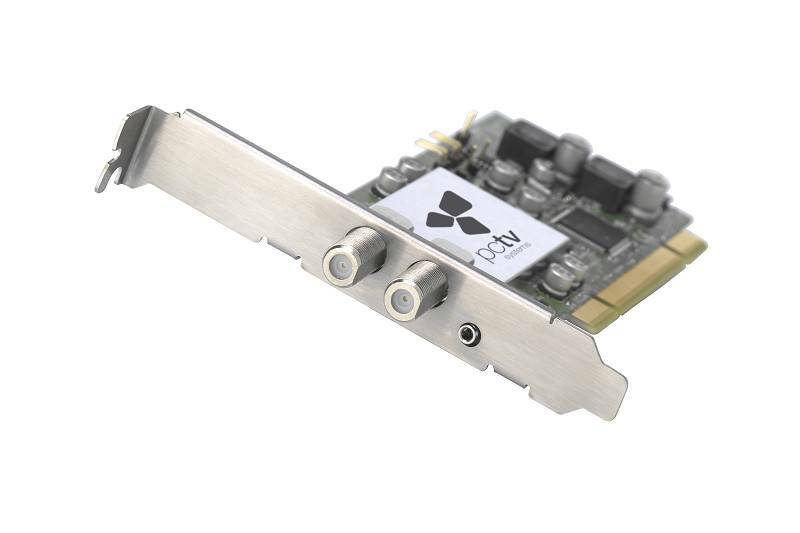 PCTV Dual Sat PCI features two high-quality digital satellite tuners on one PCI board. Used in combination with the included, all-new TVCenter software, it delivers a more versatile satellite TV and PVR experience. You can enjoy Picture-In-Picture (PiP) viewing on your PC. You can also watch, record and timeshift two TV programmes at the same time. Enjoy two satellite TV or radio (DVB-S) programmes simultaneously on your PC. On your PC, watch one TV show in full screen mode and the other as Picture-In-Picture - or watch two TV shows in moveable, scaleable windows. Gain full control over two TV programmes with the unique DualTimeShifting feature. Record TV programmes directly to hard disk in the original MPEG-2 format. Convert your recordings into PlayStation™ Portable (PSP) or iPod™ Video compatible MPEG-4 format to take your favourite TV shows with you. Use the integrated Electronic Program Guide (EPG) to schedule one-time or recurring recordings. Enjoy TV with Dolby® Digital sound1 on your PC. Get ultra-fast Teletext from two channels in parallel and select your favourite Teletext channel while watching another channel.